The “Diamonds” is a Full Wrap Conversion model from our DLight series. 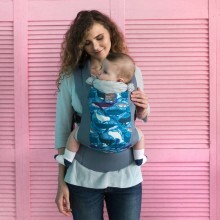 A light ergonomic baby carrier with criss-cross shoulder straps evenly distributing the load on the person's back and shoulders. 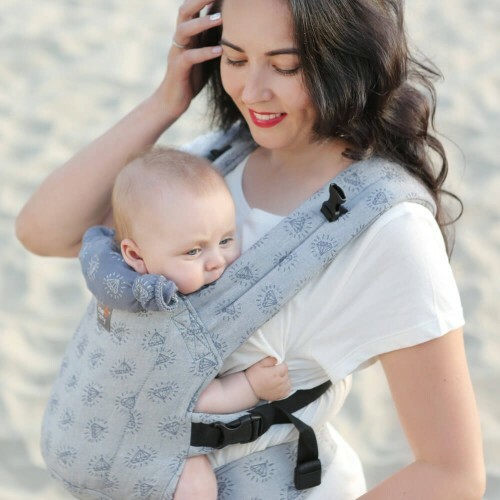 This baby carrier is user friendly, ergonomic, safe and makes your baby light as a feather while carrying. The carrier offers maximum ease of use and has been designed for babies up to 2 years old. Full Wrap Conversion baby carriers are structurally the same as other DLight carriers and are offered in the same sizes. However, these conversion carriers are made of woven wrap fabric.